Can You Be Arrested For Drunk Driving In North Carolina Without Actually Driving A Car? 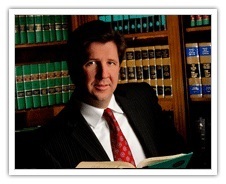 Published on: May 8, 2014 | J. Bradley Smith, Esq. Though it may sound crazy, it is actually possible for people to be arrested and charged with drunk driving in North Carolina without being found driving a vehicle. How could that happen? Keep reading to find out more about what North Carolina law says about drunk driving. The law in North Carolina clearly says that for a person to be convicted of impaired driving, he or she must be found to operate a vehicle while under the influence of an impairing substance. Though this may seem clear cut, the statutes further specify this broad statement and explain that a person can be found to have “operated” a car if he or she is in actual physical control of that vehicle. 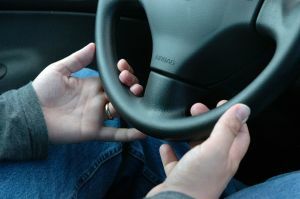 Actual physical control has been defined by many courts as when a driver has the keys to the vehicle either in the ignition or near the ignition and has the ability to operate the car on short notice. Though the person may not actually be driving, it would not take much effort to put the car into motion, thus endangering others. Though it may seem counterintuitive, it is possible for a person to be arrested if police find him or her drunk and sitting in a stopped vehicle. Even if no driving is happening at the moment the police observe the person, this can still be sufficient to justify a DWI charge. Previous court cases in North Carolina have found that when defendants are asleep in the driver’s seat of the car with the engine running, that can count as being in actual physical control of the car. In another case, a driver who was arrested and charged after turning on the vehicle he was sitting in to get the heater working. In yet another case, a driver parked in a hotel parking lot was questioned and eventually arrested on DWI charges after failing a sobriety test administered by suspicious officers. How to avoid the problem? Many people are surprised to hear that they could be arrested for drunk driving without actually driving anywhere. So what can you do to ensure you don’t fall victim to such charges? First, if you’ve had too much to drink you can avoid getting in your car entirely. Doing so is only asking for trouble. Second, if you do find yourself in a vehicle, do not put the keys in or near the ignition. In some states, people have been arrested when the keys were located in the center console. Sit in the back seat and leave your keys elsewhere, anything to make it clear you could not operate the car even if you wanted to. “Summary of North Carolina Impaired Driving Statutes,” published at NCDD.com.